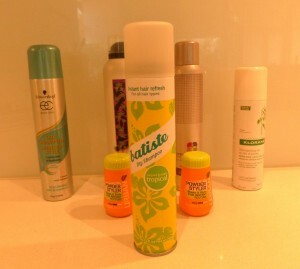 Adding on to yesterday’s Blog about which products rate the best when it comes to dry shampoo – a great tip from my friend Lisa. She says she can’t use any of the dry shampoos listed below due to the chemicals, but she’s found a fabulous alternative. It’s cheap and easy to buy – BAKING SODA!!! When you start a new job, it’s always nice to know someone has your back. 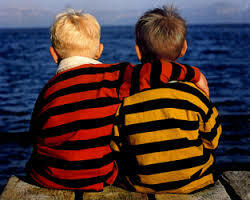 There can be challenging moments and sometimes you just need someone you can rely on. But if you hit it twice, then getting ready for work – fixing hair and make-up plus sorting a presentable outfit – means a race against the clock. Panic sets in. Drastic measures are needed. Can you call someone to help? And this is when I discovered my new BEST FRIEND. YES – there is NO time for hair washing at 4am, believe me. 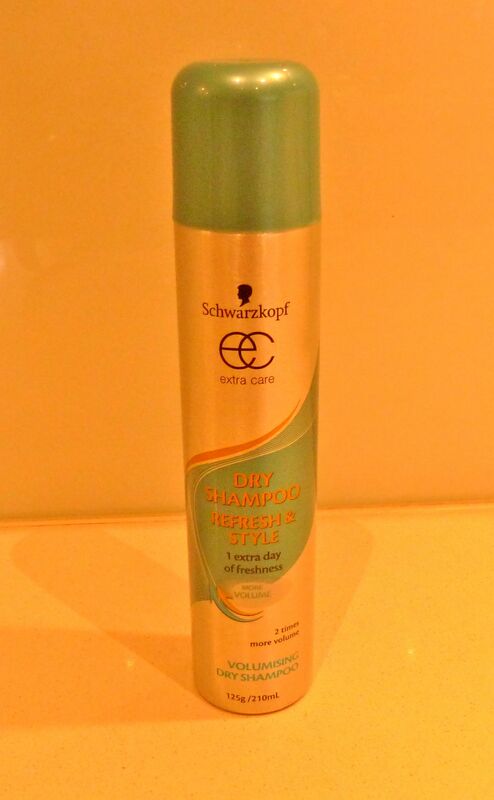 And if there isn’t time to do this the day before, the only chance you have of looking half-decent is DRY SHAMPOO. No matter what your job, I’m sure, like me, you have mornings where you’re time-poor and stressed about trying to look your best. 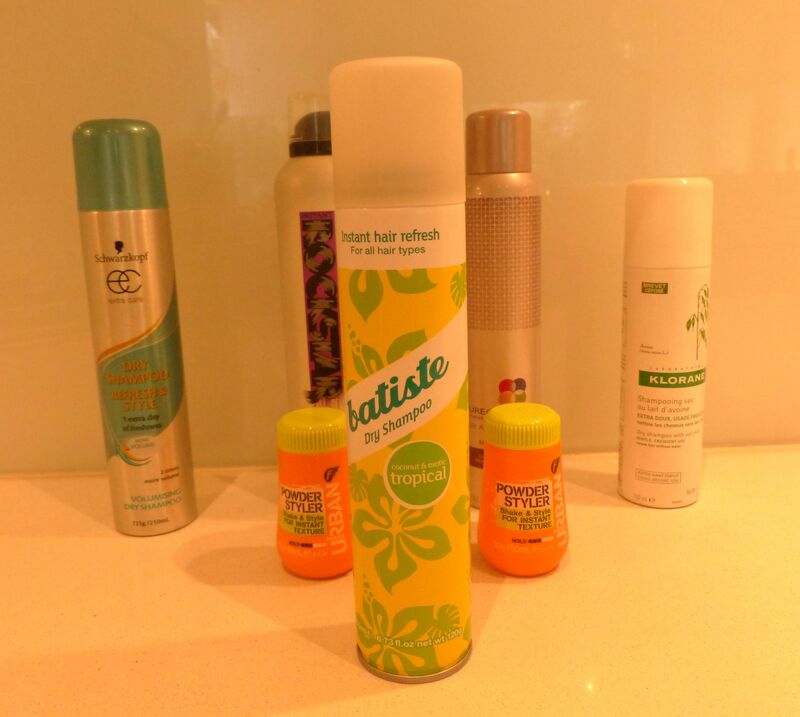 So after nearly two months at Smoothfm, I’ve had a chance to road test five different varieties of dry shampoo and thought I’d bring you my verdict on what works best. This is one of the cheapest varieties around – on sale right now at Priceline for a mere $7.19. But sometimes it’s true to say that you get what you pay for. I found this to be the least effective brand of the five tested. It took several full-on spritzes all over the head to see any effect and my hair felt pretty dull and lifeless as a result. 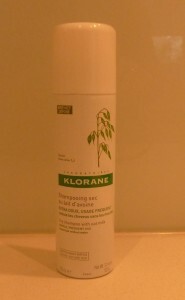 This was second most expensive dry shampoo I tested, retailing at $16.95 at Hairhouse Warehouse. This has a pleasant fragrance, and lifts the hair a little, but the results are only about three-quarters as good as you’d hope. 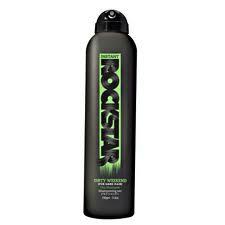 It works, but your hair still doesn’t feel completely clean. It might be the look rock stars are after – slightly grungy – but I don’t think it holds up in a professional workplace. 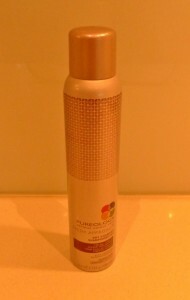 At more than $33, the Pureology brand can only be bought at selected hairdressers and is the most expensive of the varieties I tested. I had high hopes for this one. Pureology is the most wonderful product when it comes to shampoos and hair treatments, but unfortunately their dry shampoo did not live up to expectations. The spritz from the can isn’t very powerful and while the scent is divine, it still doesn’t feel like it completes the job. It almost gets there, but runs out of steam at the finish line. This is the second cheapest of the brands tested and is definitely the winner in my book. It can be purchased from most supermarkets for between $9 and $11. The spray from the can is powerful and effective, giving good coverage in minimal time. Its only downside is the scent, which is a bit sickly sweet, but on the plus side, that dissipates not long after application. Which is just as well, because otherwise, it gives a great result with fresh bouncy hair in an instant that can be easily re-blowaved and styled into a fresh look that will fool anyone into thinking you’ve spent hours at the hair salon.